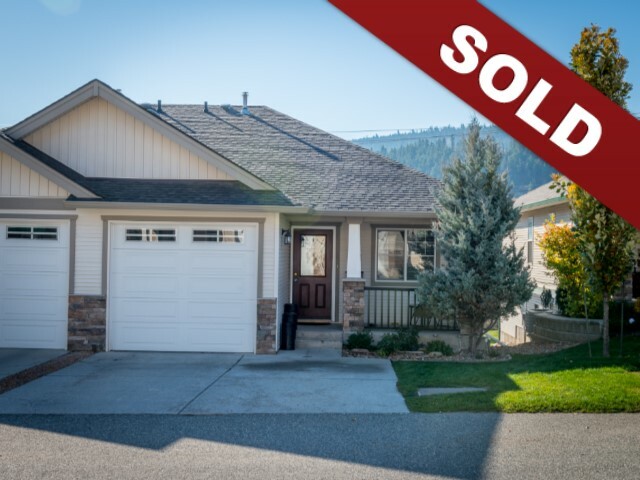 New Listing: 6-1940 Hillside Drive, Dufferin, Kamloops, BC $399,900. Gorgeous rancher style townhouse in Dufferin, located just steps to Kenna Cartwright Park. This well kept home offers a bright open concept living and kitchen area with access out to the deck, plus 2 bedrooms and a cheater ensuite on the main floor. The walkout basement has been recently renovated and features an additional bedroom and 3 piece bathroom as well as a den, family room, storage room and a very spacious laundry room. There is basement access out to the covered patio and common yard area. Plenty of parking with a single car garage plus driveway space for 2 vehicles. Central air conditioning and all appliances included. New hot water tank. Bareland strata fee of $115 per month. Pets and rentals allowed with restrictions. Just minutes to hiking/biking trails, elementary school, mall, restaurants and many other amenities. Easy to show and quick possession possible. This home is a pleasure to view, book your showing today!